In the recent post, The Sine Function, I explained the origin of the sine function as a ratio of sides in a right triangle and then described how to build the sine function script in Scratch. In Scratch parlance, making modifications to an existing Scratch project is called a remix. 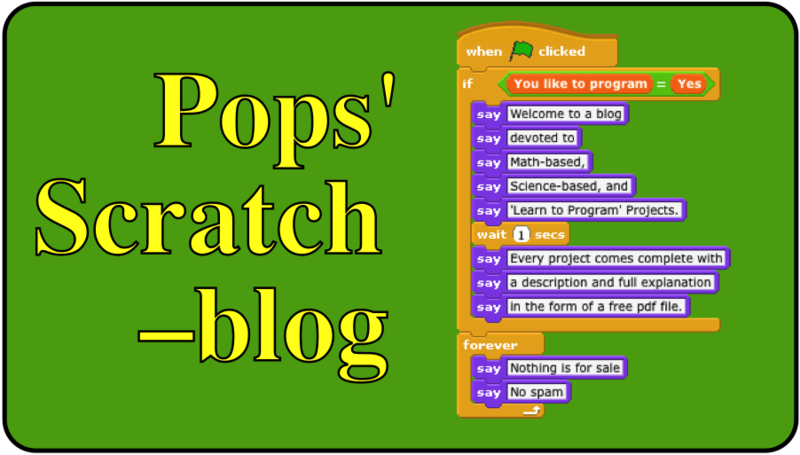 Since uploaded Scratch projects can be downloaded by Scratch users, remixing is encouraged and often leads to new and interesting variations on a theme. where you can download a copy. Here's a short video that describes how the project works.